Kevin Smith Transportation Group is a Luxury Transportation company that services the entire Greater Philadelphia, PA area. KSTG delivers services daily in Bucks, Chester, Delaware, Doylestown and Philadelphia counties. This includes more than 300 cities, towns, boroughs and Providences across the area. One of the places a KSTG vehicle will regularly service is Pocopson Township, PA.
Kevin Smith Transportation Group delivers both Leisure and Corporate Transportation services in Pocopson Township, PA. KSTG’s Leisure division will often be seen sending out a Wedding Limo or Wedding Shuttle on most weekends. Service requests for a Limo or Party Bus for a Night on the Town or a trip to Philadelphia, PA for a concert or show is very common and popular for those who live in Pocopson Township, PA. The exciting requests for a Party Bus to the Manhattan Cruise Terminal or a night out at the casinos makes for a great night. If you are fortunate enough to work for one of the amazing companies in Pocopson Township, PA, then you may require the services of Kevin Smith Transportation Group and our Corporate Transportation division. Airport Transportation is a common service request with Philadelphia International Airport (PHL) located so close to Pocopson Township, PA. However, with nearly a dozen International Airports in the Mid-Atlantic area, many companies will utilize KSTG’s services for Airport Transportation to Newark International (EWR), Kennedy Airport (JFK) or other points north or south of the Philadelphia, PA area. Other Corporate Transportation services that Kevin Smith Transportation Group offers companies in Pocopson Township, PA include Shuttle Services. This may be needed for moving employees to local SEPTA stations for both their morning commute and returning home in the evening. KSTH Sprinters and Mini Buses are popular vehicles for this service. Some companies, with offices or clients around the country, often have employees traveling through local FBO’s. When Private Aviation is utilized, KSTG Cadillac XTS’s and Black Yukon’s are often seen transferring employees from their offices in Pocopson Township, PA to those local FBO’s including Northeast Philadelphia Airport, Doylestown Airport and Wings Field. 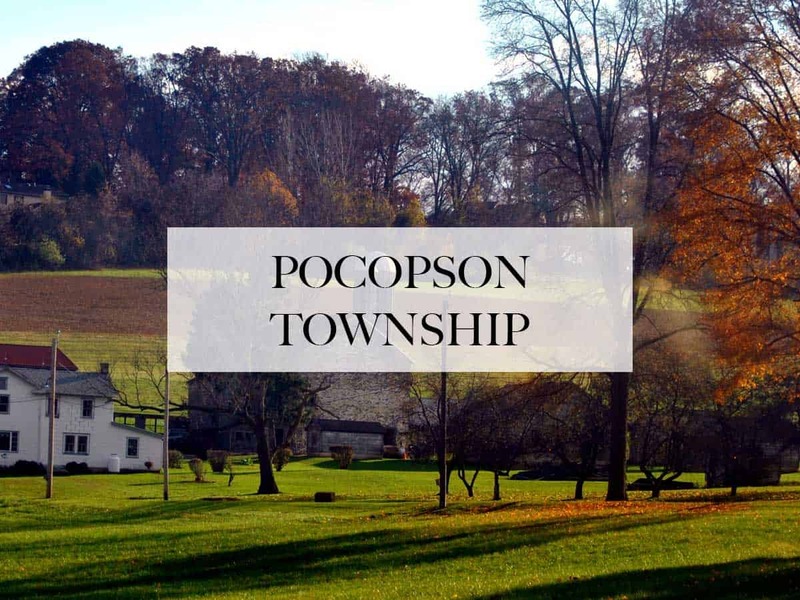 Many companies in Pocopson Township, PA have been pushed by their Senior Management or Counsel’s office to follow strict Duty of Care requirements with their employees. This means that the days of using an unregulated Black Car Service for Corporate Transportation services is no longer allowed. For Kevin Smith Transportation Group, this means that our Black Car Service division, including our fleet of Cadillac XTS’s, Black Yukons and Black Infiniti’s, are regular visitors to Pocopson Township, PA.
Pocopson Township, PA is a township in Chester County, PA. The population is estimated at 4,582. The Northbrook Historic District, Trimbleville Historic District, Lenape Bridge, and Wilkinson House are listed on the National Register of Historic Places. Pocopson is a mostly rural community, home to (besides residential areas) three restaurants, two parks, two veterinary offices, a career coaching practice, a canoe rental company, a dentist office, a beauty salon, a coffee shop, a florist, a prison and juvenile detention center, a retirement home, a post office, a hardware store, an elementary school, a fencing company and a steel working hall. In December 2014, the township completed construction on a $2.1 million roundabout on Route 52 at Wawaset Road and Lenape-Unionville Road. The township was home to a giant Penn Oak that died in July 2016. Shortly after the tree’s death, one local heaped praise on the fallen resident by stating “It had the courtesy not to hurt anyone or fall onto the road.” There were, however, signs that the tree’s health was in decay; mushrooms were growing around its base approximately two years prior to its death. The township is part of the Unionville-Chadds Ford School District. Northbrook Historic District, also known as Marshall’s Mill and Marshall’s Station, is a national historic district located in Newlin Township, Pocopson Township, and West Bradford Township, Chester County, Pennsylvania. It encompasses 14 contributing buildings and 3 contributing sites in the village of Northbrook. They are mostly located on five properties and built in the 18th and 19th century. They include the Blacksmith’s house, station house, post office and store, coal and lumber company, Lewis Marshall house, Gothic Revival style Indian Rock Farm, Baily House (1902), Northbrook Sunday School (1900), and the site of Indian Hannah’s cabin, Indian Rock, and Indian Burial Ground. The entire team at Kevin Smith Transportation Group is proud of our partnership with every company, venue and person from Pocopson Township, PA who chooses KSTG as their #1 Transportation Company. We believe our priorities around luxury helps us deliver our services for everything from a once in a lifetime Wedding celebration to supporting our Corporate clients who require use of our Shuttles and Sprinters for a company event. With Pocopson Township, PA and KSTG working together, we are confident KSTG vehicles will continue to support the entire area for years to come.